“Context.” What does it mean? Do we really need it? Is it possible to write an entire, outraged newspaper column without any context at all? 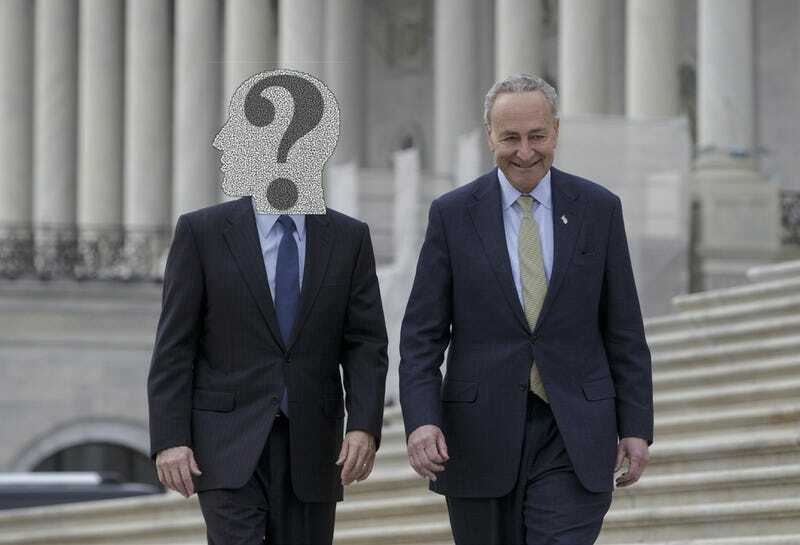 You may have seen in the news this week that Senate Minority Leader Chuck Schumer said that Senate Democrats will filibuster Republican Supreme Court nominee Neil Gorsuch. Setting aside your own personal feelings on whether or not this man would be a good and proper Supreme Court Justice, you, the typical reader, may reasonably want to know: How did we get here? What happened to get us to this point? There are any number of news stories that will answer those questions for you. Because answering those questions is extremely basic journalism! It is actually difficult to conceive of writing hundreds and hundreds of words about this issue without answering those questions. It would be weird! It would almost take a deliberate force of will to exclude such basic information from a discussion of the topic at hand. Is such a thing even possible? Kimberley Strassel, a professional political columnist, wrote a whole column about this topic in today’s Wall Street Journal. As you would expect from the outlet, the column is unsympathetic to the Democrats’ point of view—its headline is “Chuck Schumer Breaks the Senate.” Okay, fine. Bolding ours. Not even Mr. Schumer denies Judge Gorsuch possesses a singularly gifted legal mind and is eminently qualified for the court. His objection, instead, is that the nominee is “conservative.” This is apparently now a disqualifying attribute for any Supreme Court justice. The slow-rolling nature of the process has nonetheless masked the extraordinary new standard Mr. Schumer is setting, and the damage to the Constitution. He’s saying that every Supreme Court nominee will now require 60 votes to be confirmed. This is a massive shift—a break with the Founders’ vision of advice and consent, and an affront to two centuries of Senate history. It’s a declaration that Democrats will permanently wield the judicial filibuster as a political weapon, robbing the president and the Senate majority of the ability to appoint, and stripping the Supreme Court of a full complement of justices. Never in U.S. history have we had a successful partisan filibuster of a Supreme Court nominee. In 1968 a bipartisan group of senators filibustered the proposed elevation of Justice Abe Fortas to chief justice, because he was a crook. The left edged nearer the precipice in 2006 with the attempted filibuster of Samuel Alito, but only 25 Democrats joined. Since then, progressives have lost any fear of the electoral consequences of playing abject politics with the high court. These comments aim at pressuring “institutionalist” Republican senators with an attachment to the chamber’s traditions. But it won’t be Mr. McConnell—an institutionalist among institutionalists—changing anything. This column is 858 words long and none of those words are “Merrick Garland.” I had to read it twice to make sure. How Many Sentences Does It Take To Know David Brooks Has Written A Bad Column?